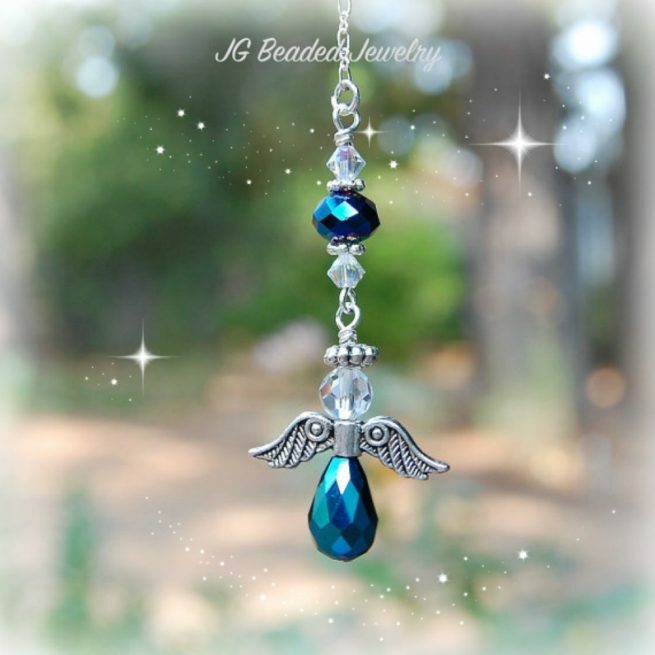 Handcrafted iris blue hanging angel decoration can be hung from the rearview mirror, in a window at home, the office or anywhere you choose! 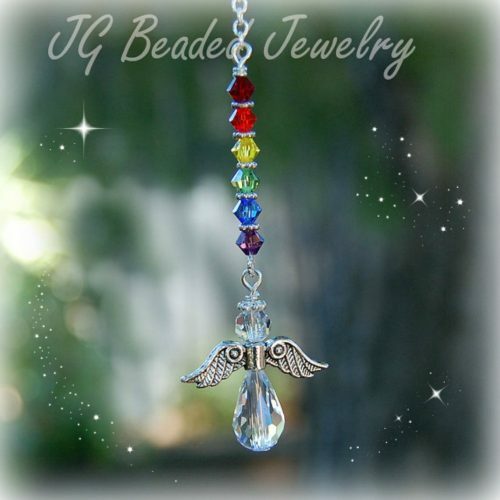 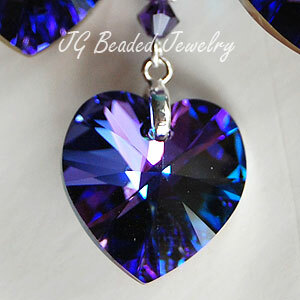 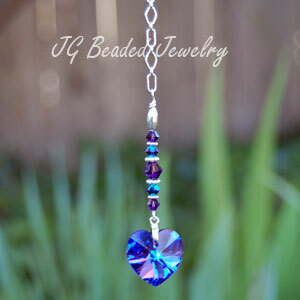 Made with detailed pewter angel wings, iris blue crystal beads, iridescent Swarovski crystals and a faceted clear crystal. 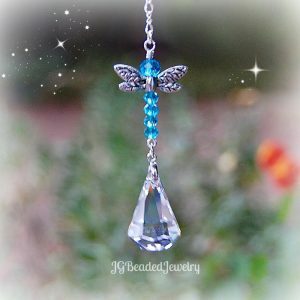 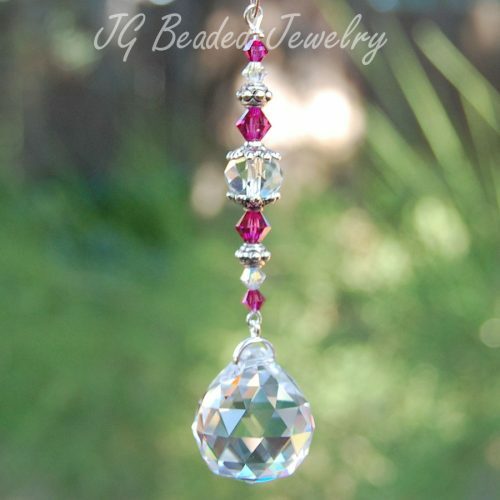 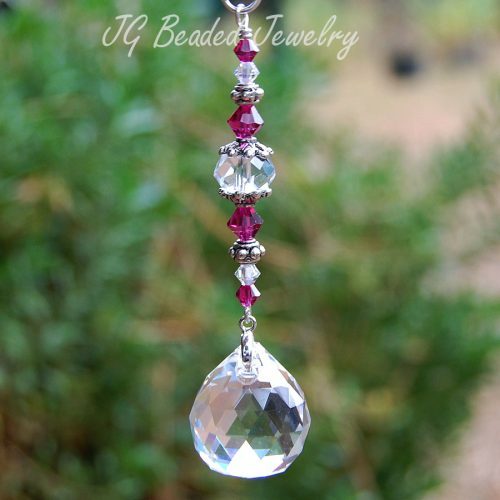 Offering many unique Rearview Mirror Decorations, Crystal Suncatchers and Light/Fan Pulls!